Happy Monday! That means I get to announce the winner from Wednesday's Game. Congratulations to Carolina M! Connie will email you a coupon code. I hope everybody will join me again on Wednesday for another game. 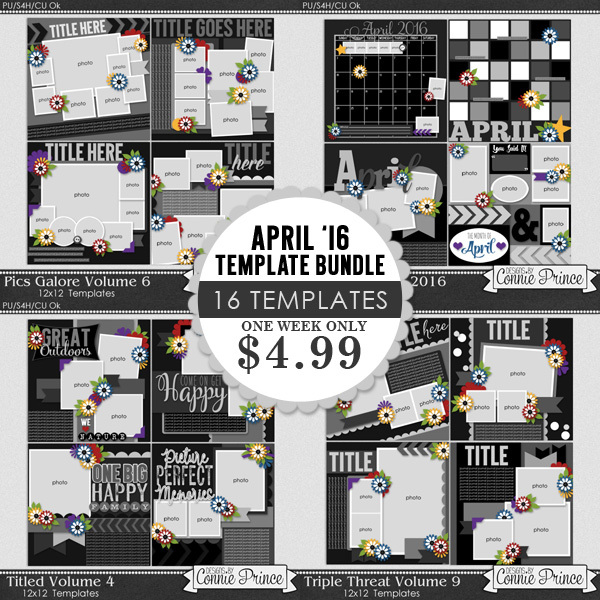 The April Template Bundle is now on sale. This is such a great deal. 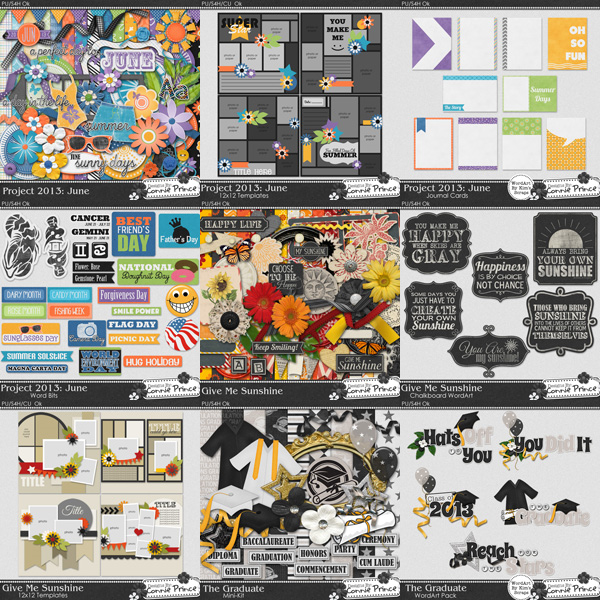 You get a total of 16 templates for only $5. It is a great way to add to your stash or start one. It is that time when Connie retires some of her older products. Each product is $1-$1.50. If you see something that you like be sure to grab it before it is gone for good. 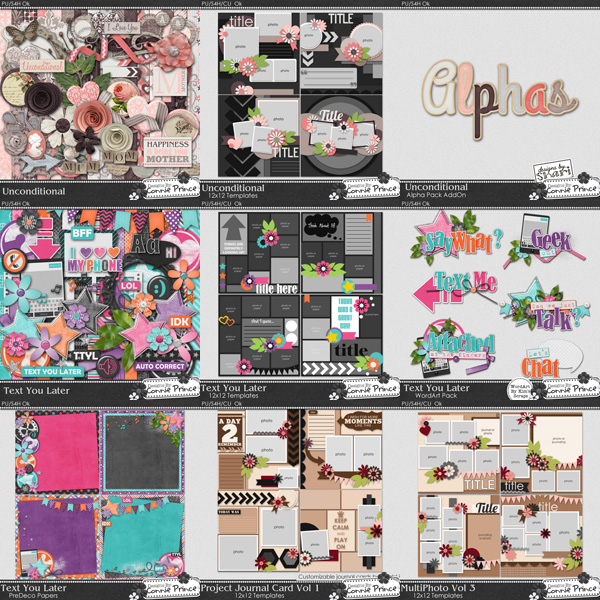 To get a closer look at the retiring products visit GottaPixel or GingerScraps. Last of all is your freebie. I used a template from the new template bundle to make a Quick Page. You may download it HERE.